Hello Peter. 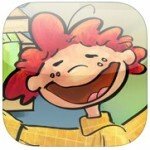 You had reviewed my App Drew’s Dancing Drum in the past. It literally has touched my heart and made me realize I need to become even closer to God. 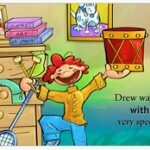 I have also continued the story of Drew’s Dancing Drum with a “part 2″ app even more interactive than the first. And would LOVE if you could review it. I was also hoping to give you a donation, just need to know where to send it. Thank you Brandon for your kind words. If I have even touched one, then my mission is complete. I am blessed to have had the opportunity to be part of your and many others’ creations. Your app was certainly one that I won’t forget! Right now the app reviews are $5.99 here or you can submit for the free monthly here. If you were still interested in giving a donation after those options, you can find that link here.